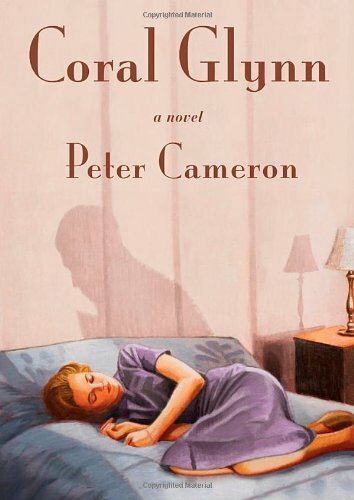 Coral Glynn, Peter Cameron’s wonderfully weird new novel, alludes to a number of literary genres and earlier time periods but is still quite original and rich with interesting, unexpected plot twists. Mr. Cameron’s novel is utterly compelling, interesting, and terrifically well written. The novel’s namesake, Coral Glynn, is a nurse who comes to a gloomy English country house in 1950 to nurse the dying Edith Hart. At Hart House, Coral also encounters Major Clement Hart, the son and heir who has been wounded in the war and the cranky housekeeper, Mrs. Prence. The story includes a murder mystery, hidden pasts, a marriage proposal, thwarted loves, and repressed homosexual and heterosexual desires, plus a number of well-drawn personalities. All of the characters in the novel have secrets and rarely communicate effectively with one another. Coral Glynn pays homage to the postwar British novel, as well as to the gothic novel and novel of manners, but it never seems imitative or derivative. The blending of different genres coupled with the spare, controlled, beautifully composed prose contributes to the novel’s slightly anachronistic style. The story takes place in England but is written by an American; the plot has gothic elements and is suspenseful, but the writing is lean and precise; the tale is sad and unsettling but includes bits of humor. Coral Glynn is full of surprises at every turn. The delightful disjunction between the prose style and the content subtly highlights or comments on a character or situation and also adds a touch of humor to the narrative. The ornate bedroom of Dolly, a friend of Major Hart, is described: “It was stuffy in the room and rather warm; an electric fire glowed malevolently in the grate. The wallpaper, curtains, and upholstery were all of the same deeply purple violets-gone-mad pattern.” Later at an awkward wedding luncheon the narrator writes of the young waiter ineptly filling wine glasses: “Watching him was like watching a medical student suture a wound.” The narrator’s tightly composed terse observations are very telling. Peter Cameron conveys so effectively in Coral Glynn how difficult it is to connect and communicate. Coral uses the word “muddle” to describe her failed relationships and mishaps. She wonders, “How was it ever possible to know who, or what, people really were? They were all like coins, with two sides, or dice, with six.” Through his exquisite prose Mr. Cameron creates an engaging and thoughtful tale about damaged, complex people who want to connect.